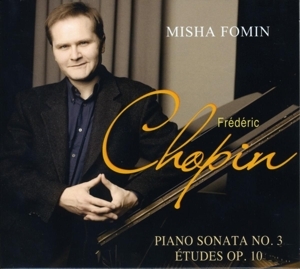 Fomin has always been renowned for his fine communicative skills in front of an audience, effortless technique and inspiring musicianship in everything he performs. His playing is praised by prominent musical critics for his subtlety of touch and phrasing, his wide and rich palette of colours and refinement of musical expression. Misha began studying at an early age in Nalchik (Russia) and his outstanding early promise blossomed into graduation with distinction from the Gnessin’s Russian Academy of Music, Moscow. He studied with Lina Bulatova, herself a pupil of the revered professor Helen Gnessina and legendary Heinrich Neuhaus. 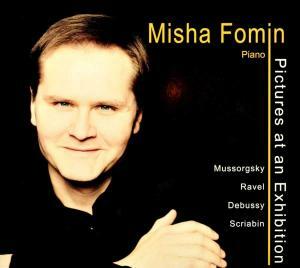 Following his successes in international piano competitions, Misha was invited to take part in several music festivals in Russia, Germany and France and perform with first-class orchestras. He is currently in demand for a wide variety of chamber music ensembles, playing with leading instrumentalists, as well as appearing on major international concert platforms in recitals. Since 2015 Fomin is a member of the Balakirev Piano Trio. 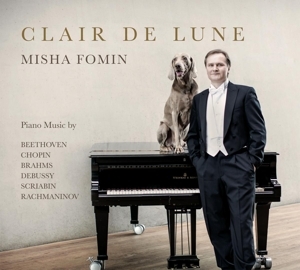 Fomin is passionate about sharing his artistry with the young generation of pianists and enjoys working regularly with students in master classes and educational events. He is frequently heard and seen on national radio and television. Recordings he made have received critical acclaim in leading classical music magazines. Most recent appearances include the Musikverein (Vienna), Fairfield Halls (London,) Carnegie Hall (New York), Philharmonic, (St. Petersburg) and The Concertgebouw Main Hall (Amsterdam). A radio and video recording of the concert in The Concertgebouw, April 24th 2016, will be broadcasted by Stingray Brava HD TV in spring 2017 in- and outside Europe (Asia). Jeux d’eau, Bruyères, Etudes, Schilderijententoonstelling e.a.